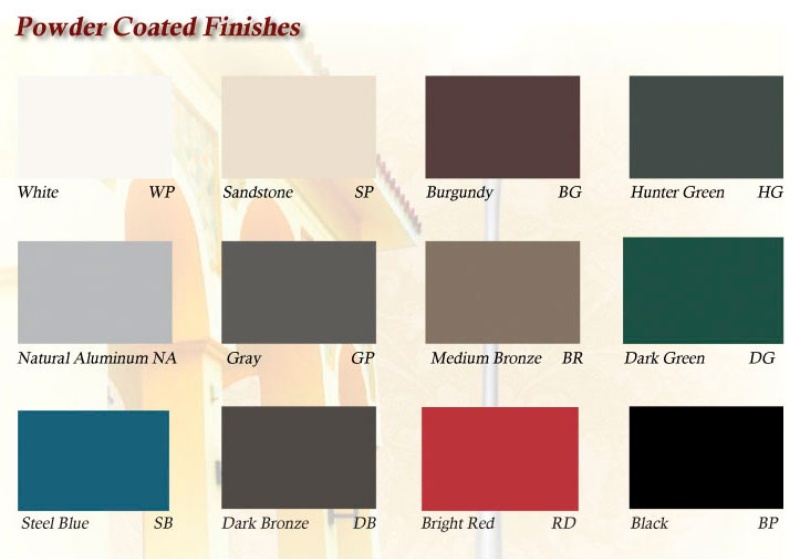 Continental Pole & Lighting offers many options of paint and galvanized ﬁnishes. Whether the speciﬁcation requires galvanizing, powder coating or a liquid “spray-on ” paint product, each pole is prepared to ensure proper adhesion to the metal and guarantee a long lasting color ﬁnish. Color matches are available for all national color charts. Please contact us for custom ﬁnishes.